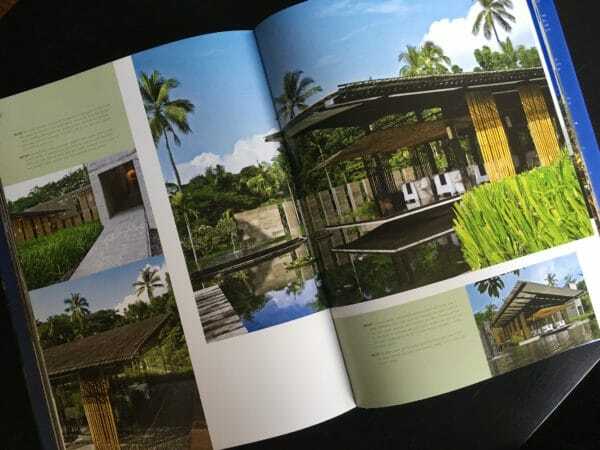 Bali, Indonesia, is well known as a home for creative, sustainable design that incorporates natural elements like bamboo, wood, stone, water, and plants into home, and focuses on open air and indoor/outdoor spaces. I’ve spent a lot of time in Bali (doing my field work as a graduate student years ago), and the architecture and design has always awed me. 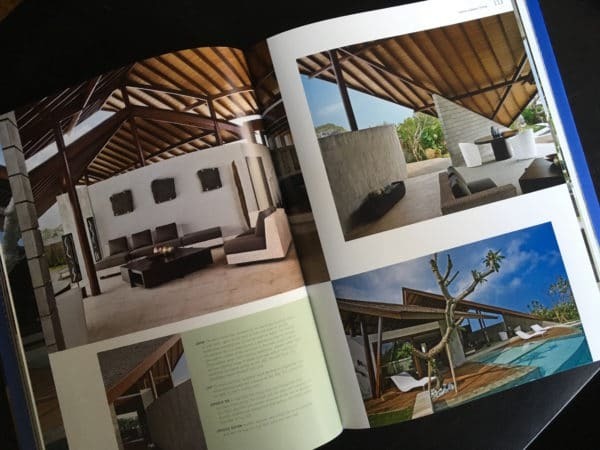 Growing up in the midwest with harsh winters makes this type of design truly impossible, but for those living in the warmer climes, design elements found in Bali and throughout Indonesia are inviting. While this book highlights some of the natural elements mentioned above, it focuses almost entirely on extravagant homes that make it practically impossible for most people– expatriates and especially local Balinese– to create homes similar to this. The homes featured in this book are truly opulent and thus inaccessible to most of us. Author Gianni Francione writes, “all the properties featured have been selected because of their architectural creativity and their un-hackneyed interior design schemes[…] they are representative of the type of indoor-outdoor living we have come to associate with the island. It could be argued that they epitomize the true essence of tropical living.” [italics mine]. These homes are examples of ‘the essence of tropical living’ only for the island’s most wealthy residents and visitors. 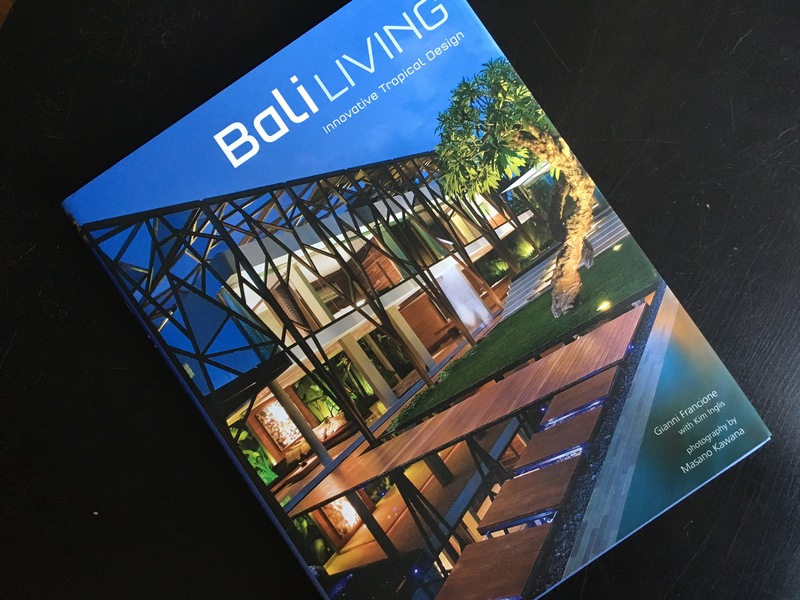 I was sent this book to review along with Eco Living Japan, and I was really hoping for a book that would present affordable, practical opportunities for tropical design. But the homes featured here have sweeping views, huge courtyards, terraces and verandas, pools and ponds, and home space in the thousands of square feet. The book is still gorgeous to look at, and perhaps even fantasize about: perhaps one day you could visit one of these homes, or stay at something similar to enjoy the grandeur. It would also be excellent for tropical and semi-tropical designers that are looking to bring in some natural, Melanesian elements to their designs. For that, the book is great. But for average folks, this book might read more like a tropical fantasy book! Thanks to Tuttle for sending a review copy! Check out my review of their newest book Eco Living Japan.